What you can and cannot do to protect your art. The Internet is an infinite galaxy of images, each one flickering for your attention. Everywhere you look these images parade by in countless websites seeking your favor as if they were in a Miss America pageant. The explosion of Facebook, Pinterest, Flickr, Snapchat and endless other image-driven websites are being fed by photography and graphics. Like-minded people and virtual communities pop up daily sharing these images. Alongside these sites are advertisements trying to catch your eye. The web has a thirst for fresh content and it is sometimes difficult to create an image with impact with short lead times. This demand can cause others to steal your hard work. So how do you protect yourself from image theft? Honestly, there is not a lot you can do. The only way to discourage your images from being stolen from a web page is to not put them online in the first place. I will give you some perspective on the topic and help you do what you can to protect your work. The first thing you should do is add a copyright notation, i.e. © 2012 “your name or company” along with the image or add the notations in the footer of every web page. By international copyright law, copyright belongs to the artist who created the artwork automatically. You can recover “actual damage” for infringement but you are not entitled to “statutory damages” unless you register with the U.S. Copyright Office prior to the infringement. Copyrighting all your images is not practical due to expense but if you have a Pulitzer price photo or something incredibly newsworthy, it would be a good idea to register that image. Carolyn E. Wright wrote this great article “Five Things You Can Do to Protect Your Online Images”. It details all your legal rights. Use HTML code to turn off the right click option. Place all your images in a flash file, in a streaming media, or nestled safely away in a Java applet. These are fancy methods that you may code. However, believe me when I tell you these methods are ineffective in preventing theft. Shrink wrapping your images – is a technique that allows the thief to copy the image, but the image they end up saving is not the one they wanted. This is a cool trick. 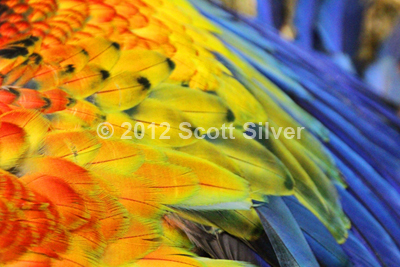 Watermarking is one of the better ways to protect yourself. Many stock agencies use this technique. However, I believe it detracts from your work. In addition, an experienced Photoshop person can clone away the watermark. It’s not 100% full proof. You can also put an invisible “Digimarc” watermark on your photos. Digimarc is a plugin built into Photoshop that adds code to your image. Digimarc will track and inform you of infringement. Try not to make your images bigger than 520px. This ensures the thief cannot enlarge and steal your image for print. I practice this method. Slice and dice your image into several pieces. Visually, it looks like one image but in reality, it is more than one. It’s not worth the trouble to do the HTML on this. You might ask yourself, so what’s wrong with all of the above options? Why do they not work? They do not work because anyone can simply take a screen snapshot and gain 100% of your work. That snapshot is still 72 dpi and in essence is a duplicate of the image you are trying to protect. No matter what steps you take to protect your online photos, a savvy Internet visitor can usually find a way around the safeguards. So how do you find your violators? Catching every infringement is just impossible but fortunately, I came across this site call “TinEye”. TinEye is a reverse image search engine. You can submit an image to TinEye to find out where it came from, how it is being used, if modified versions of the image exist, or to find higher resolution versions. TinEye is still building their index, but even now, offers you the best solution that I am aware of to search for image theft. Give it a test drive. It is Free!! 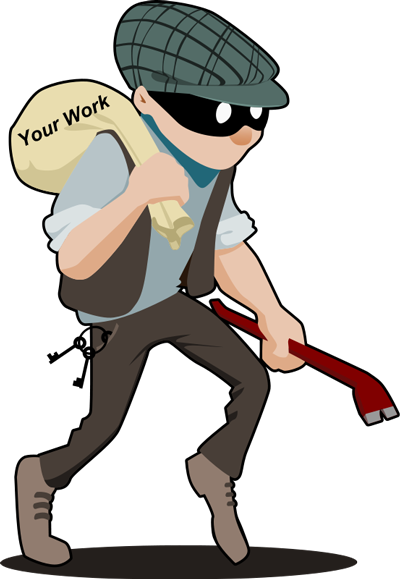 If you should find someone stealing your work you can hire a lawyer or do something much less expensive. Send a copyright to cease and desist letter on your own. It cannot hurt and if they comply you have saved yourself much trouble. Here is a template you can use to draft your letter. In the end, the benefit of having your work shown on the web outweighs the possibility of theft. You should perform audits of your work occasionally and protect yourself by registering with the U.S. Copyright Office when appropriate. The line of art and stealing can be gray. If you are confused what constitutes stealing this quote by Pablo Picasso is a good one to ponder. “Bad artists copy. Good artists steal..” If you think about this quote literally it does not make sense. I believe it means a good artist steals an idea or concept and transforms it into something entirely different. This is a complex topic but a simple example can be made when a musical artist covers a song written by someone else. 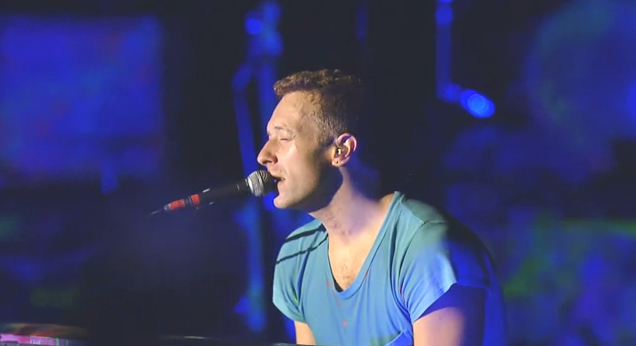 Listen to this cover of “Fight for Your Right” by Coldplay. This tribute to Adam Yaunk of the Beastie Boys is completely different than the original song and they make it their own. Care to share your thoughts on this quote? It’s such an interesting topic. If you know of any other methods of protection or other search browsers please share. US Library of Congress – United States Copyright office for copyright registration. Stolen Content – Content protection and what to do in case of theft. Creative Commons – Non-profit organization providing creative licenses for image works. Content Theft – The growing trend with websites and blogs. Form Swift – Free Legal Guide for Photographers. Thank you Kevin for your kind words. I started blogging in December. I’m an artist so I know about good design. About one a month. You can subscribe to my blog. I use WordPress. It is free and very good.